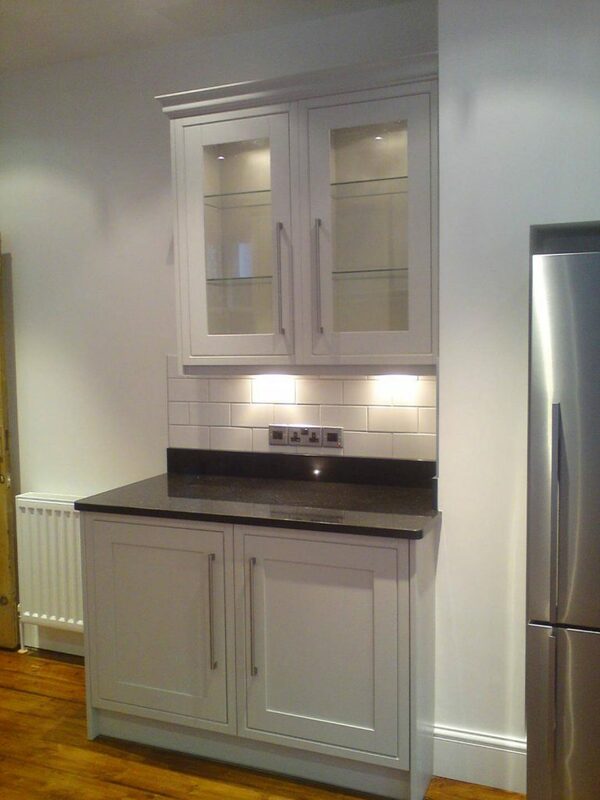 Here was our chance to work with our customer who wanted to create a classical British in-frame oak painted kitchen. 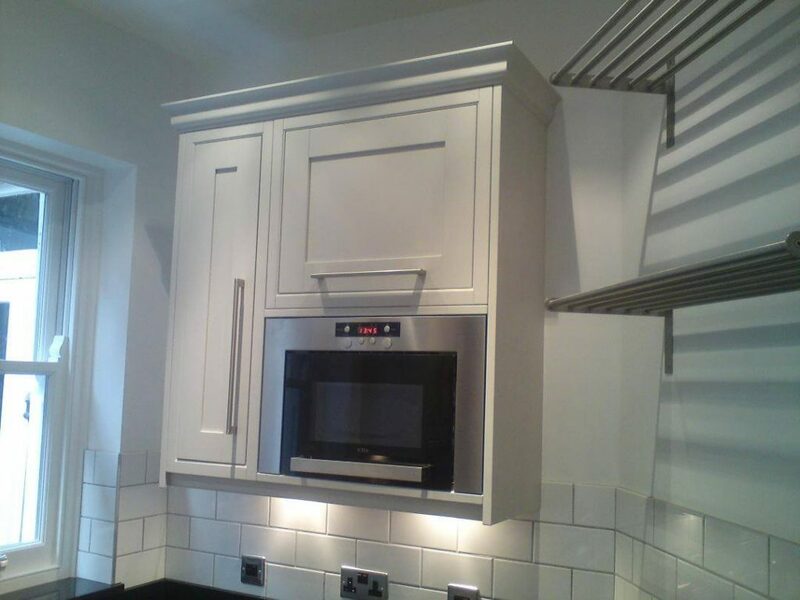 The customer was keen on creating separate stand alone pieces to give the kitchen a more traditional feel. 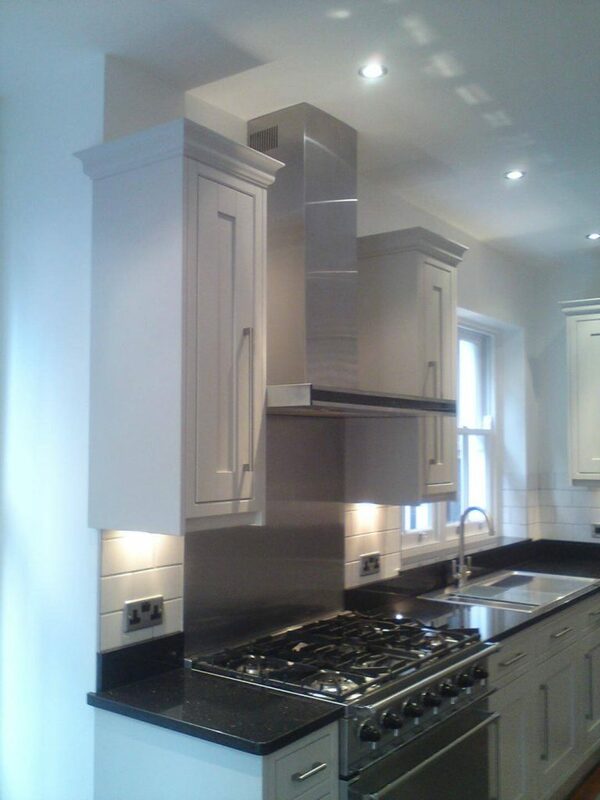 In order to accomplish this we used Crown Cotswood solid oak In-Frame painted units together with Black Absolute Nero granite worktops and up-stands. We coupled this with a traditional brick style ceramic wall tile and contrasted this with a grey wall grout. On this particular job we also undertook the supply and installation of all the double glazed bespoke joinery, including French door and sash windows. 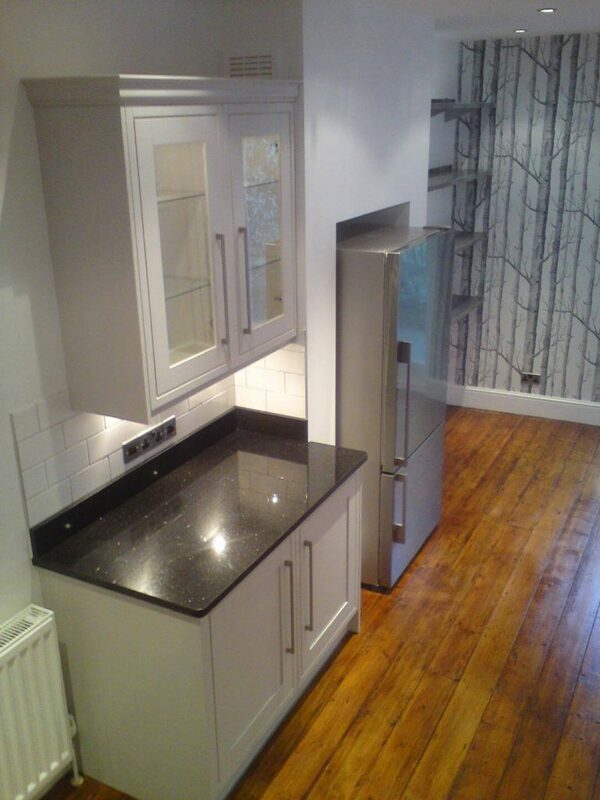 The customer was also keen on keeping the original timber floor, however parts of the existing floor were damaged and missing. We therefore sourced reclaimed timber floor boards to match both in size and colour the existing floor and then had the whole floor sanded and sealed to create a stunning looking vintage floor. 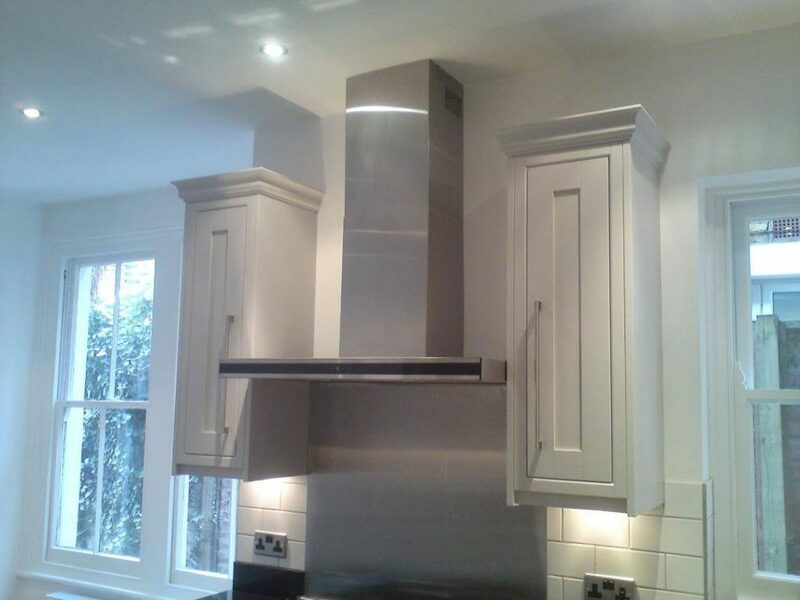 The existing chimney breast opening was enlarged both in width and height in order for it to accommodate the customer’s free standing fridge/freezer. 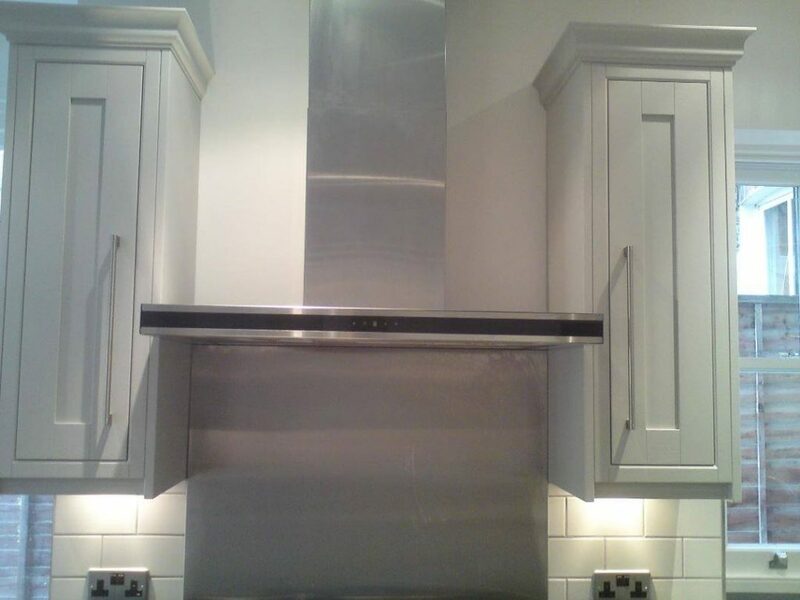 We also supplied and installed bespoke stainless steel shelving to one of the chimney breast alcoves to provide a perfect resting place for cookery books and storage jars.